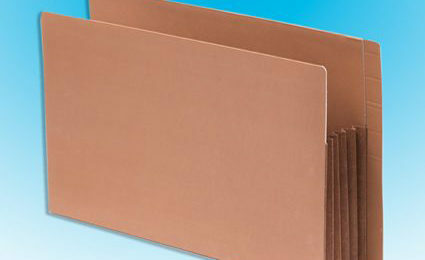 TAB provides an extensive line of accessories to help you tailor your filing system to your exact needs. 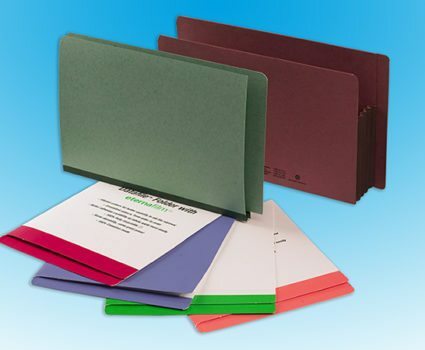 Durable self-adhesive pockets help organize media inside folders. Available in credit card, microfiche and loose-leaf sizes. 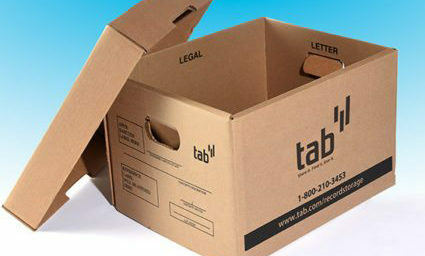 TAB’s unique design allows you to store side-tab folders in legal or letter sizes. These one-piece pockets are closed on two edges and have a reinforced side tab and an angled front. 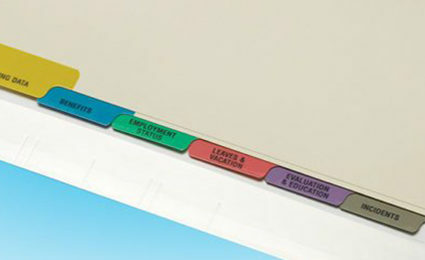 These clear, pressure-sensitive strips reinforce your folder, while preventing smudging of typed labels. 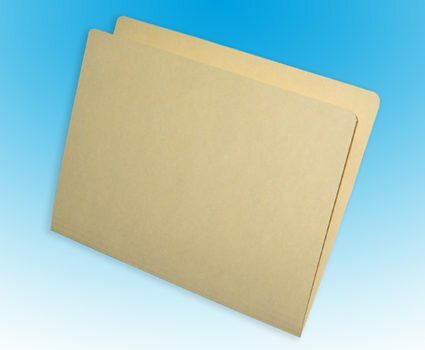 Organize two-hole punched paper in your folder. 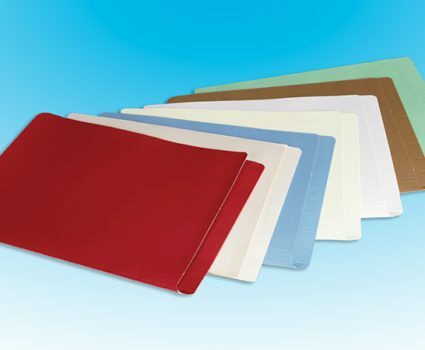 Available as self-adhesive or factory installed. 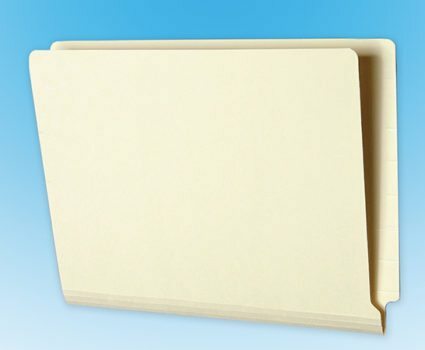 Docuclip is a unique self-adhesive fastener that can easily and effectively turn any folder into a two-inch capacity binder. 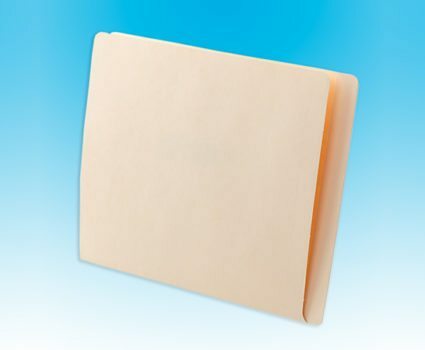 Plastic legs permit pages to be inserted or removed without disturbing preceding pages. Easily separate and classify contents within your folders. Track the name of the borrower and when the file was used. Mark the spot where a file needs to be returned and hold incoming material while the folder is out. TAB offers a range of indexes to make it easy to find your information. We can also custom create indexes to your unique specifications.